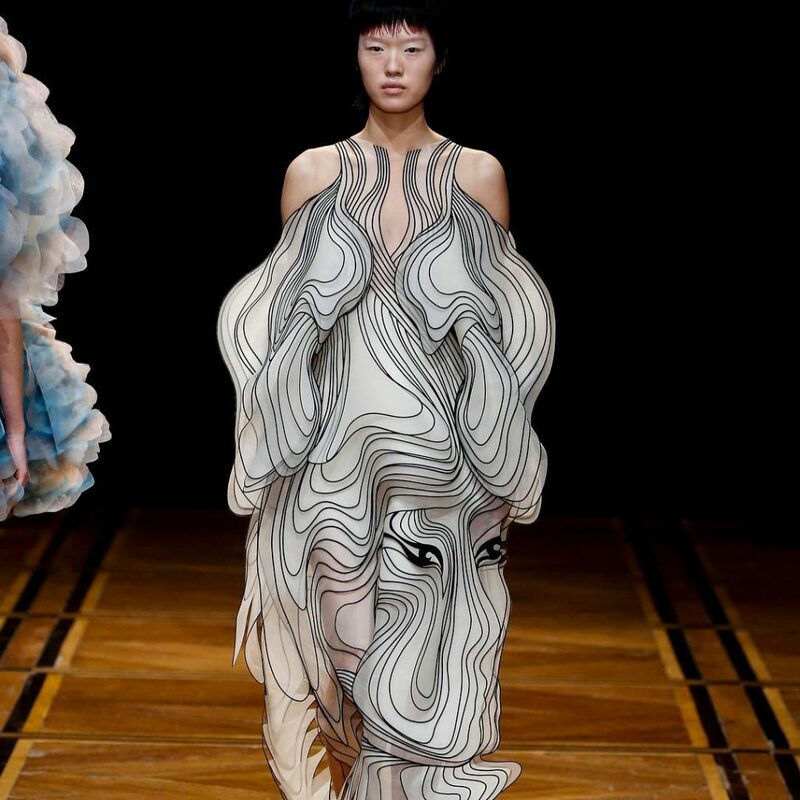 Dutch fashion designer Iris Van Herpen presents new collection pushing boundaries of technology and classic motifs in her thought-provoking garments. 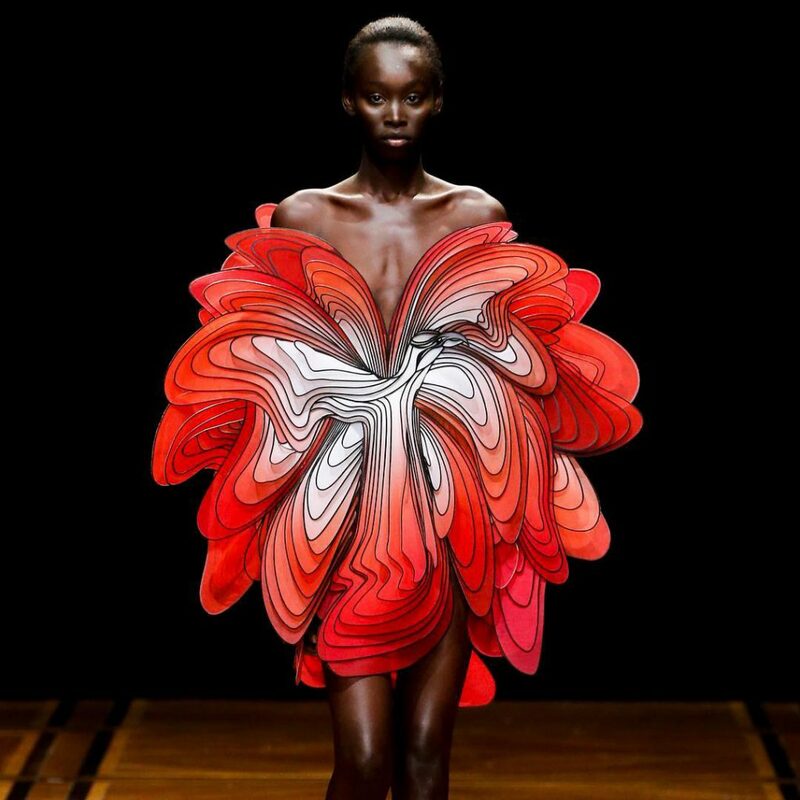 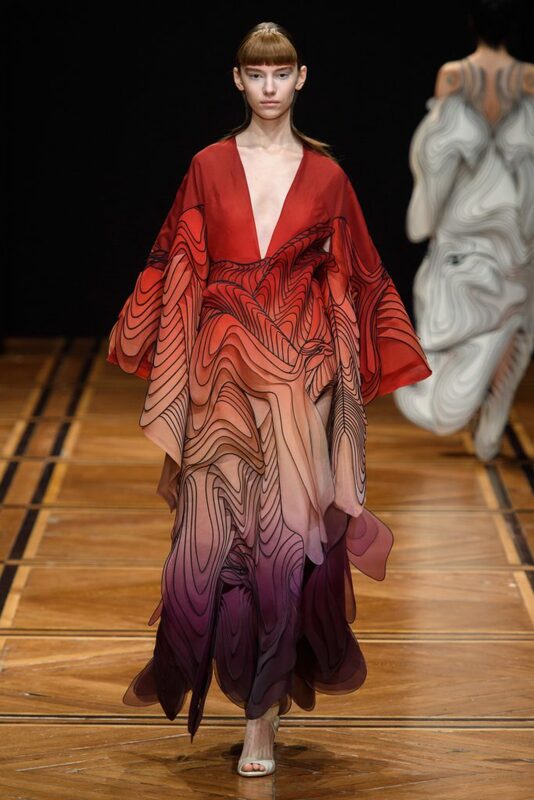 Van Herpen’s collection, Shift Souls, featured dresses that play with structure and color to blur the boundaries between fashion, technology, and art. 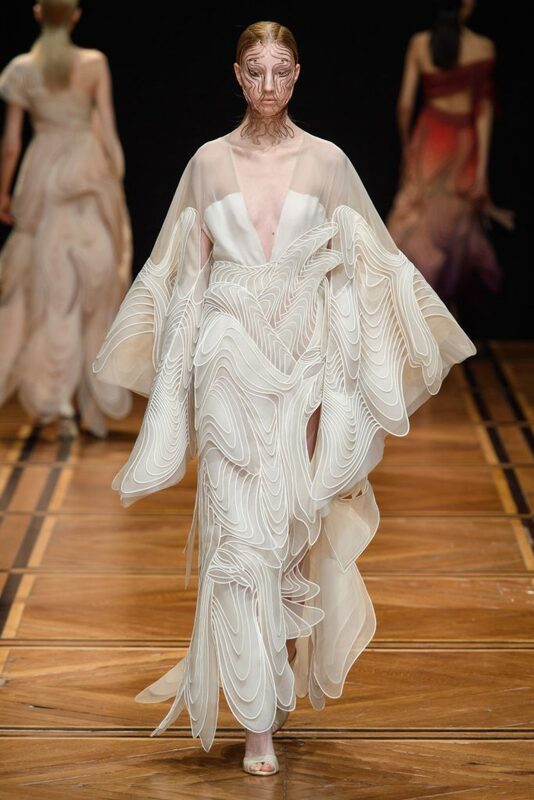 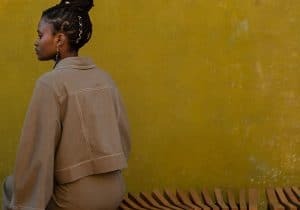 Many of the pieces in Shift Souls were created using laser cut fabric pieces to form abstracted birds and human faces, emphasizing the designer’s interest in the mutability of the human figure. 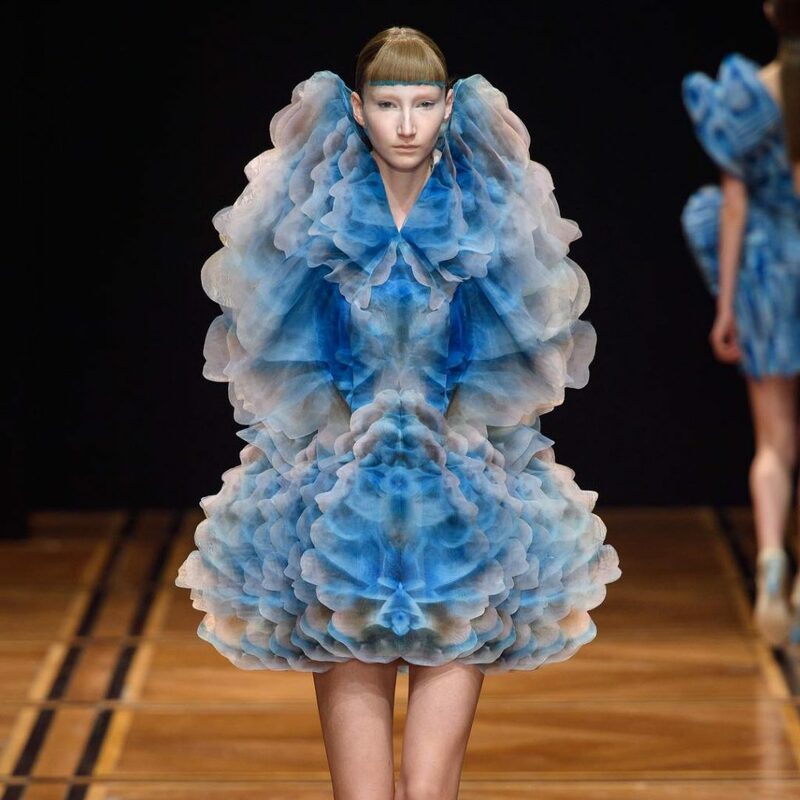 Van Herpen also collaborated with artist Kim Keever to design fabric patterns based on his liquid color cloud photographs, as shown in the blue dresses below. 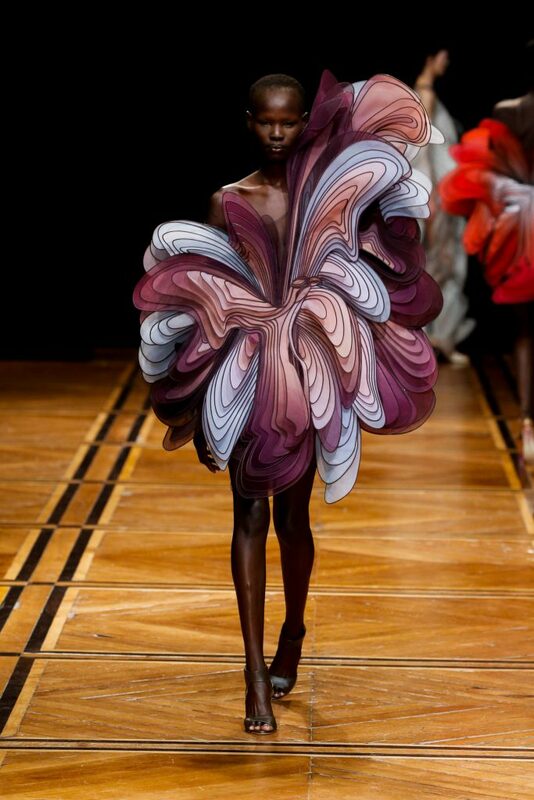 To see more visit Dutch fashion designer Iris Van Herpen’s profile on Instagram.